Joseph “Joe” Grant Reece Jr.
Joe Reece was born June 3, 1894 in Corona, Alabama. He spent his early years in Chattanooga, Tennessee and moved to Waco in 1910 where he graduated from Waco High in 1912. He worked for the Texas Company of Dallas for the next four years before returning to Waco where he was hired by the San Antonio Machine & Supply Company. They sponsored a professional baseball team and Reece often worked as referee for home games. 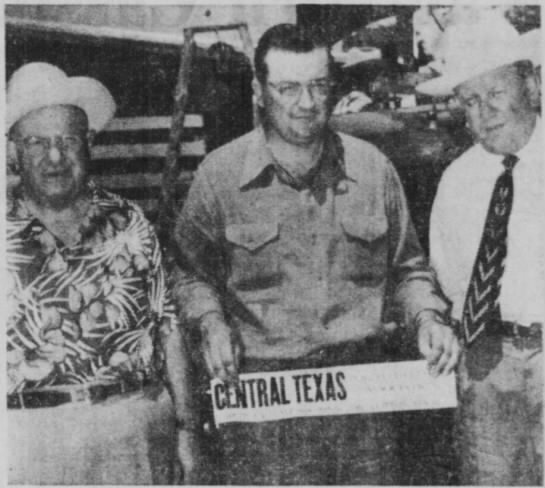 Twelve years later, he left that company to work for the Texas Life Insurance Company of Waco and he remained in the insurance business for the rest of his life. 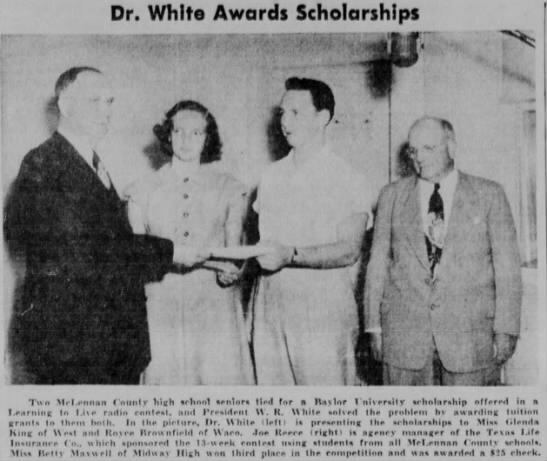 He was a major influence on Texas Life Insurance’s charitable efforts and is seen representing them below when they sponsored a Baylor scholarship contest in 1951. Reece is on the right, Baylor President W.R. White is on the left, and the two scholarship recipients are center. Reece spent decades as a leading member of Austin Avenue Methodist Church where he first became very good friends with Past Master Zimmerman. Reece was a well-known supporter of the Masonic Home football team. Reece was also a successful rancher and a long-time secretary for the American Polled Hereford Association of cattle ranching. He is seen on the left below representing that organization. 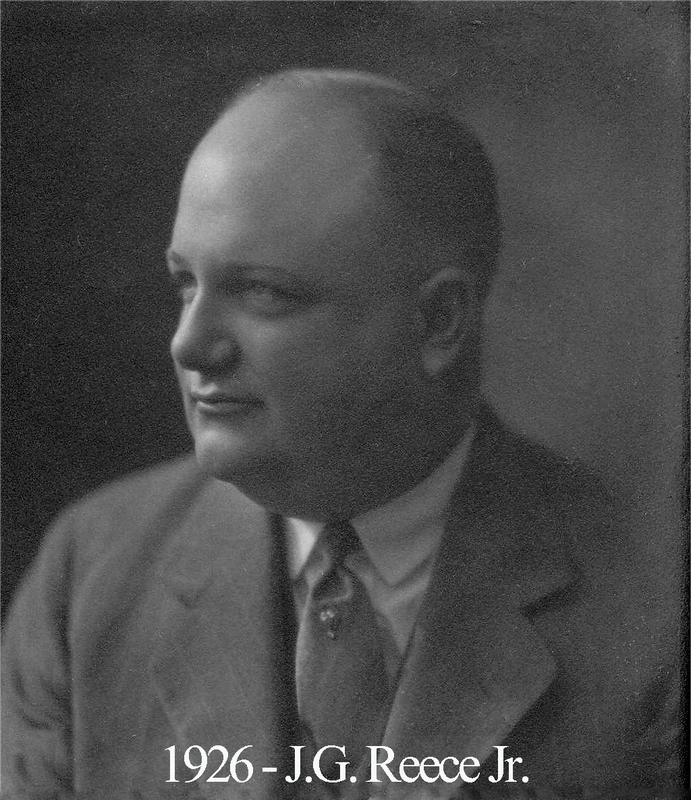 While Reece was Master of the Lodge in the 1925-6 Masonic year, he conferred an average of 60 degrees per month and he oversaw the planning for Waco 92’s 75th Anniversary, the Diamond Jubilee.